In the spirit world, probably nothing invokes associations with days gone by more than brandy. The house of brandy is decked out with a plush leather chair, wood-burning stone hearth, books by Dickens (perhaps), a smouldering pipe, a comfy robe and warm slippers. It’s a stoic, relaxed place, steeped in cosy tradition. The noble Lord and Lady of this fine residence are, respectively, Cognac and Armagnac — the former an internationally respected Old World gentleman. By his side, less flashy, though some would argue even more assertive (and still aristocratically French), is Madame Armagnac. Together, they represent the upper echelon of the brandy hierarchy. How can these royal spirits survive in today’s world of fly-by-night fashion and flavour-of-the-moment fickleness? This isn’t to suggest that the duo’s international popularity is on the wane — the resurgence in the popularity of brown spirits (and China) — have kept them more-or-less as popular as ever. It’s a bit of a balancing act, when you are deftly trying to juggle tradition and modern tastes, but the “Royals” seem to be pulling it off. And they’re using some interesting strategies to do so. So, a couple things stand out: Williams talks about sports and music. Sports and music typically don’t immediately come to mind when Cognac is mentioned (think of the incongruity of having Hennessy Very Special swapped with Bud Light in those slick, loud, commercials. Not exactly, right?). And if the “traditional” Cognac consumer is envisioned as rich, old and white, well … think again (at least about the old and white bit). Rory Crozier, Martell Cognac Brand Ambassador, notes that for his firm, the Cognac/music connection extends beyond narrow boundaries. Cognac in cocktails is “new but not really new, but let’s try to keep it new” sort of thing. (The last time I wrote about Cognac was over a decade ago — and the thrust of that story was Cognac as a cocktail base.) But big deal: if it’s still even a “kinda thing,” it’s a good thing. Of course, there’s still a demand from connoisseurs of more, um, serious snifters. 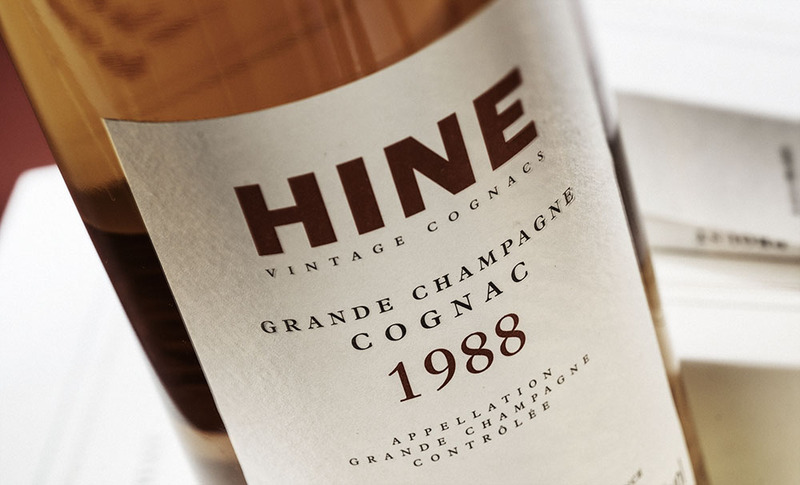 Hine is certainly not ignoring this call, marketing a range of single-vintage Cognacs, single-cask Cognacs and, most recently, the terroir-driven, single-estate Domaines Hine Bonneuil sourced entirely from its own Grande Champagne vineyard. Of course the Lady of the Manor — Armagnac — hasn’t been sitting on her laurels as Lord Cognac continues to conquer new palates. Jérôme Castledine, of the Armagnac House Bordeneuve Châteaux & Collections, notes that though European and Canadian sales volumes may have declined somewhat over the past little while, sales dollars remain robust, suggesting, he reasons, a leaning towards higher-end products. Things are different in the U.S..
“This market has exploded in recent times,” Castledine reveals. “It’s grown by 41 percent in volume and 84 percent in value over the five years ending in 2015.” This success, however, has not stopped Armagnac producers from experimenting with new creations designed to appeal to new markets and drinkers. Blanche d’Armagnac (clear and without oak aging) was granted Appellation d’Origine Contrôlée (AOC) status in 2005. — so it’s hardly “new,” but it hasn’t really cracked the Canadian market (the silky textured Blanche de Montal with its fragrant fruity/floral aromas is the first I’ve seen in my market). Bordeneuve has not only released La Blanche de Bordeneuve white Armagnac, but also La Blanche au Citron (with natural lime extract) and La Grande Josiane, which combines Armagnac with bitter orange, vanilla, cocoa and coffee and targets a wide consumer base. Cognac and Armagnac may be ancient spirits, but even in the modern world, they’re certainly not ghosts.